Welcome to Cognos on Steroids. I will be publishing business cases, code samples and methodologies. I welcome you to post your comments and also challenging business requirements you faced/currently face in your environment. Outside of a Proof of Concept, any environment where an application like Cognos is installed, it is wise to have at least two instances, one for development and one for production. In these cases you will have to deploy reports and other content from development to production and vice-versa. There are multiple ways this can be done depending on your needs. Let's say you want to refresh development environment with the current version of production. You can use this method when deploying the entire content store. Stop cognos services in both development and production environments. Have your DBA make a copy of the production cognos content store schema. Restore the copy in your development environment. Under "Data Access" section, add new content store database, and enter the details of the schema copy that you just created. Start cognos services in both environments. Now your development environment will have all the content of your production environment including access rights and user information. Login to your production environment and launch "IBM Cognos Administration" from Cognos Portal. Click on "Configuration" tab and "Content Administration" in the left pane. 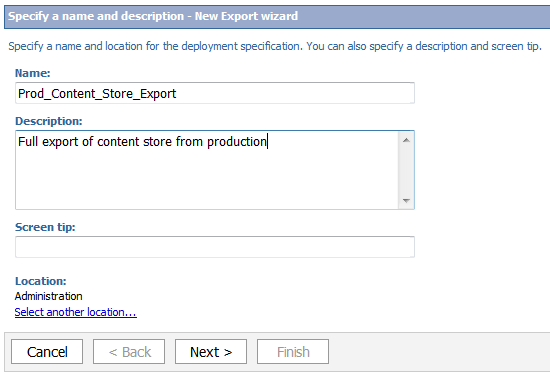 From the toolbar item, click "New Export"
Next, select the desired deployment method: You can choose to export the entire content store or only selected folders or packages. In the next step, entire a name for the archive. This will be the file name when the export completes. After this step, review the settings, save and run the export. Check the activities in IBM Cognos Administration to make sure export runs and completes successfully. Login to the production cognos server and navigate to: <cognos install directory>\deployment folder. 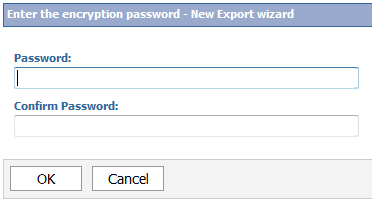 Find the zip file with the name you entered in the Export wizard. Copy this file to the development environment. Now login to the Development environment and navigate to Content Administration. Select the archive that you just copied over and click next. Select the desired settings and click Finish. Now your content from production environment will be imported. Go to "Current Activities" in the "Status" tab of "IBM Cognos Administration" and make sure the import completes successfully.